Welcome to the Live Oak Library! My name is Mrs. Regotti and I’m the school Library Media Tech. We are open to students from 8:00 a.m. to 2:30 p.m., Monday thru Friday. 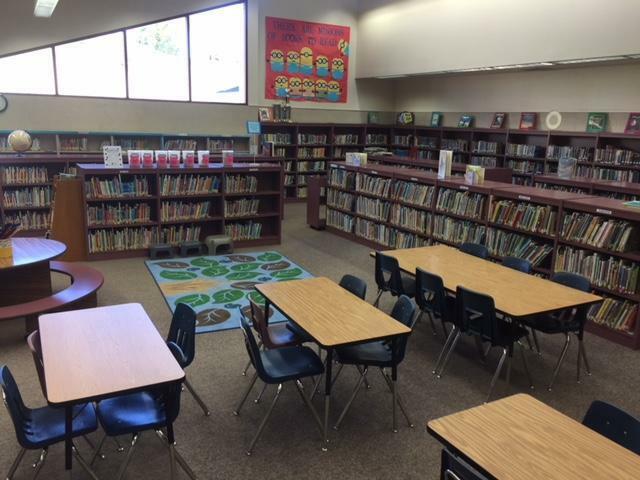 The library mission statement is to assist our student to become effective learners by providing materials that will promote the love of reading and inspire them to become lifelong learners. Studies show that reading 20 minutes a day will help children with language development, promotes brain connectivity, and expands their knowledge of world experiences. Activities planned for this year include the Book Fairs in the Fall and Spring, California Young Readers in January, Read Across America in March, and Poetry month in April. Enter and leave the library quietly. Use browsing boards when selecting a book. Return your library book when it is due. Protect your library book from rain or water using a plastic bag. Never color or write in a library book. Allow the librarian to repair any torn pages. Use clean hands when reading a library book.